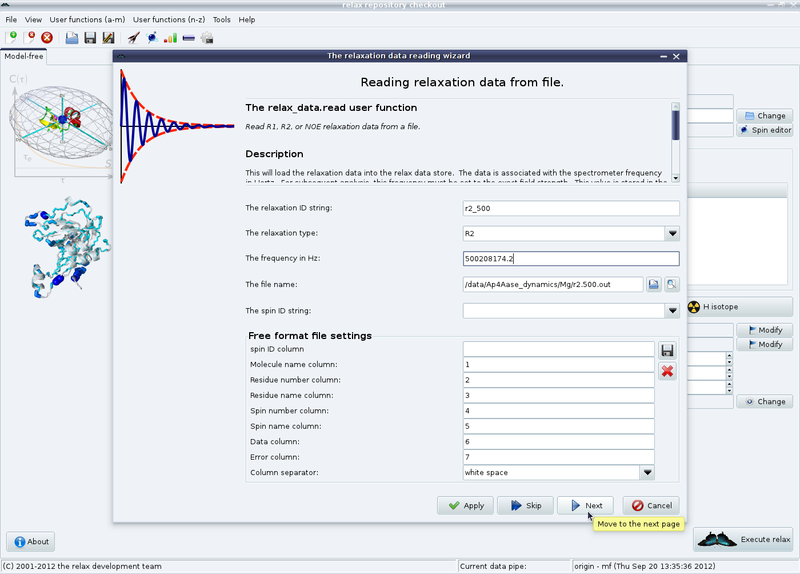 In this first page, the unique relaxation data identification string (“r2_500”), the relaxation data type (“R2”), the frequency in Hertz (“500208174.2”) and the file (“r2.500.out”) are specified. 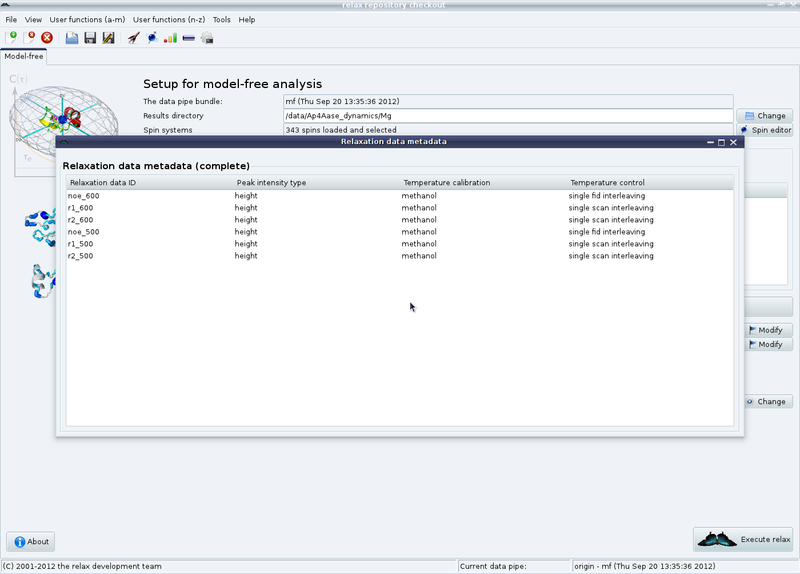 If your data comes from another program, you many need to change the values in the “Free format file settings” element. Click on “Next” to load the data from the file. 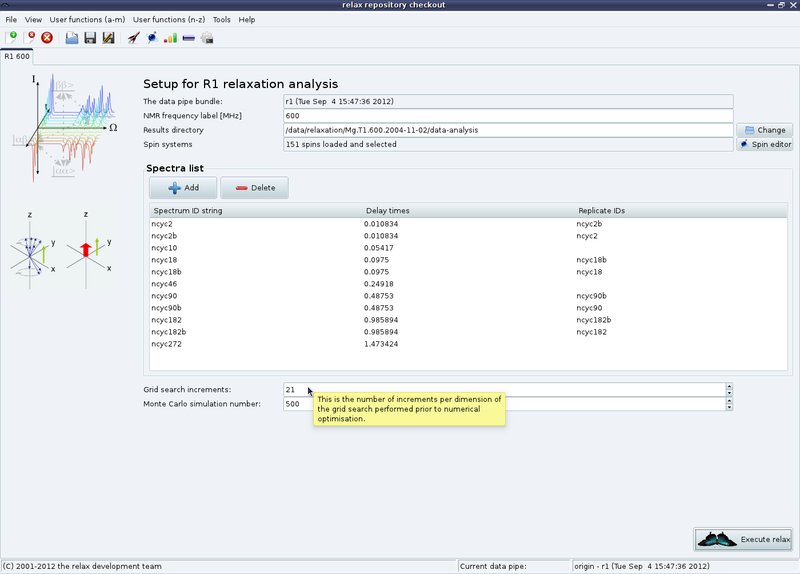 The next wizard pages are for loading the metadata which is used in the BioMagResBank deposition of your final results. 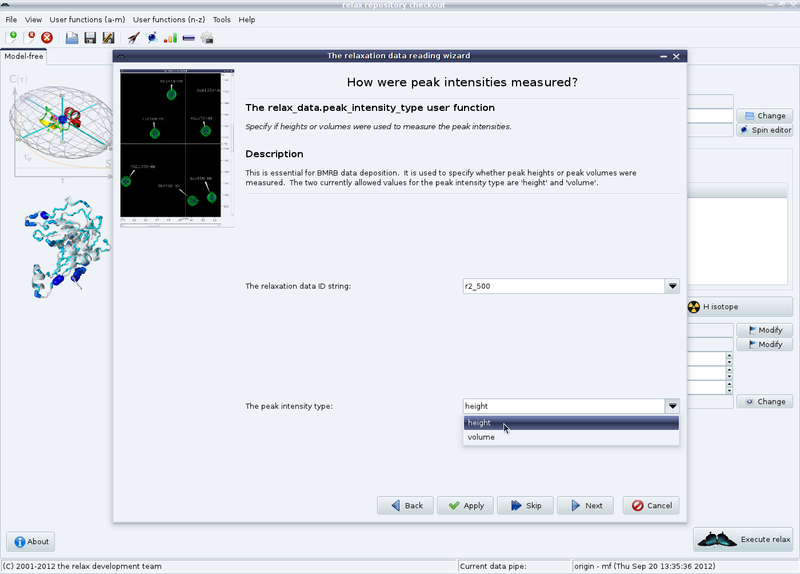 The first is how the peak intensities were measured, either peak heights or volumes. Select the appropriate value, then click on “Next”. 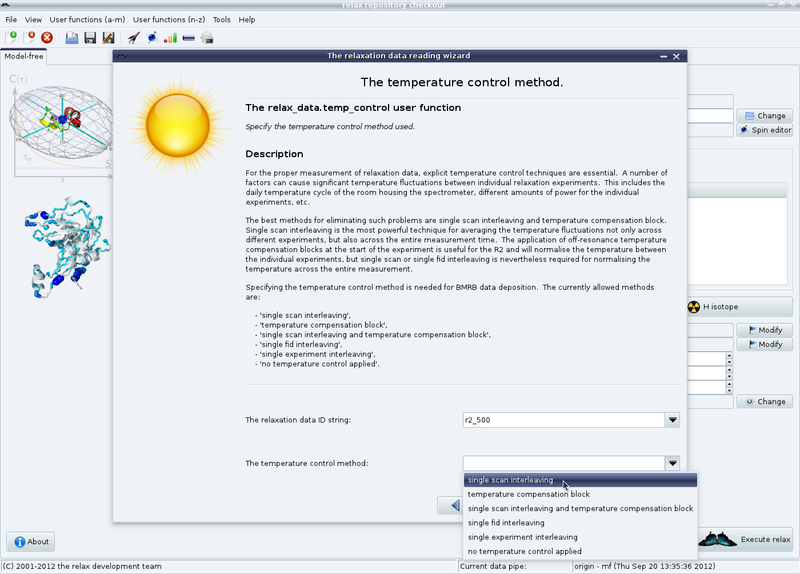 Then the temperature control method is given. For more details, please read the documentation provided in the wizard and see section 5.3.1 on page . Click on “Next” to continue. 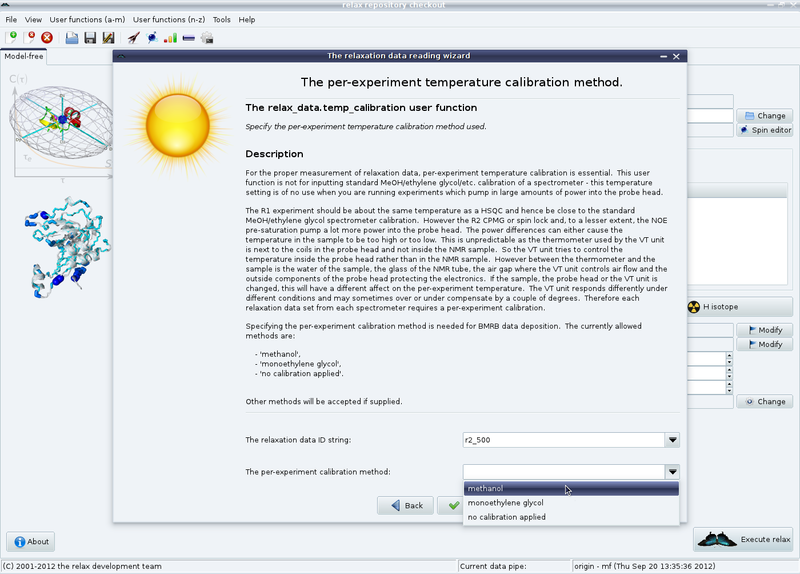 The temperature calibration method can finally be specified. Again, see section 5.3.1 on page for the full details. Click on the “Finish” button to close the wizard.